Announcement Welcome to Earth Moon Stars Studio where space inspired home decor is the final frontier! So take a seat and buckle up and enjoy the ride into the galaxies, nebulas and the stars beyond. The universe is vast and so is our selection of outer space decor. So please explore our duvet covers, wall tapestries and fleece throw blankets. Please check back as decor will be added regularly. Welcome to Earth Moon Stars Studio where space inspired home decor is the final frontier! So take a seat and buckle up and enjoy the ride into the galaxies, nebulas and the stars beyond. The universe is vast and so is our selection of outer space decor. So please explore our duvet covers, wall tapestries and fleece throw blankets. Please check back as decor will be added regularly. Merry Christmas and Happy Holidays from Earth Moon Stars Studio! Shop our Mother's Day Sale for 15% off! Welcome to Earth Moon Stars Studio! Earth Moon Stars Studio offers to the world unique space inspired home décor items including wall tapestries, fleece blankets, pillow covers, duvet covers and bed comforters. 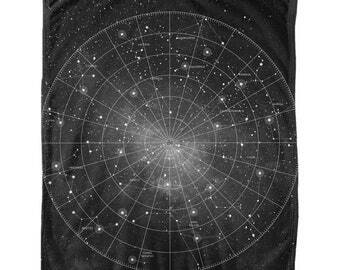 Also, available are space inspired wearable art with our space silk scarves. Earth Moon Stars Studio’s business values are reflected in the thoughtful curation of high quality space inspired images which are printed on exceptional home décor products. Our goal is friendly and quick customer service. Our business is small family owned with myself Renee and my daughter. I’ve always been amazed by the wonders of the cosmos. The awe and beauty of the earth, moon, stars, nebulas, and galaxies beyond inspired the concept of bringing this beauty of the universe to decorate our homes and lives. My daughter is a professional and creative graphic designer and she digitally enhances the images to increase the vibrancy and emphasize detail, making the images unique. We are very thankful that you are taking your valuable time to visit our shop. Please stay awhile and explore all our space inspired categories of home décor items and wearable art. We are always curating new images and expanding product lines, so please check back often to see what is new. Feel free to share your finds with your family and friends. Enjoy! They help us print our images on products. Welcome and thanks for visiting EarthMoonStarsStudio! Please, have a look around at my current listings and message me if you have any questions. New work will be featured on a regular basis, so please come back often and see what's new!